It has been really hot lately here in SW Florida. The temperatures and humidity have been raising weekly and in fact I find that I need to get up earlier so I can get out of the house to exercise before the heat of the day becomes overwhelming. I usually juice raw veggies and fruits twice a day, and enjoy a salad or bowl of soup for lunch. While I still enjoy salads for lunch, I find that my usual vegetable soups that I serve warm simply no longer interest me. 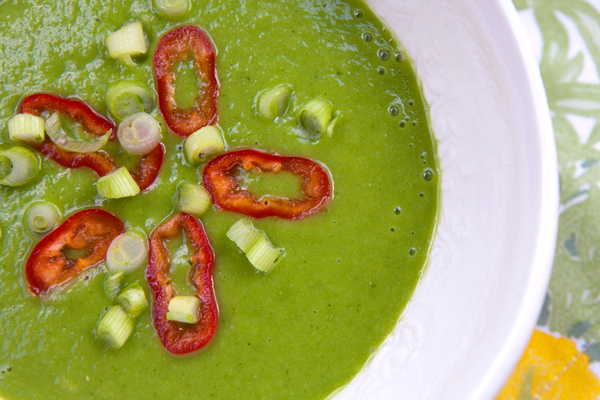 I have begun to blend raw vegetables and fresh herbs into flavorful soups that I can serve cold or at room temperature. 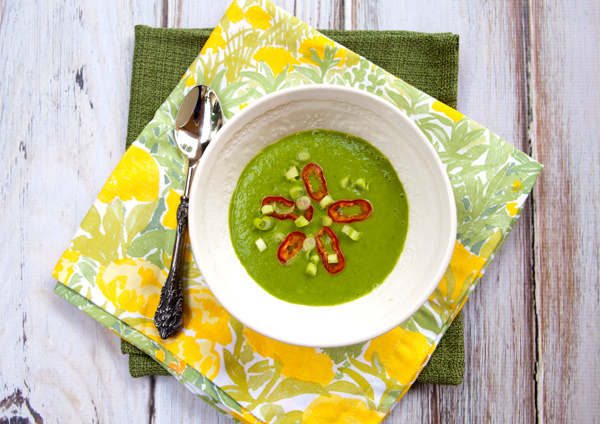 This soup contains zucchini, spinach, and avocado that are blended into a creamy rich soup. Fresh basil and mint add an herbal fragrance, chili pepper adds a little heat, and orange and lemon juice add a little sweetness and citrus notes. 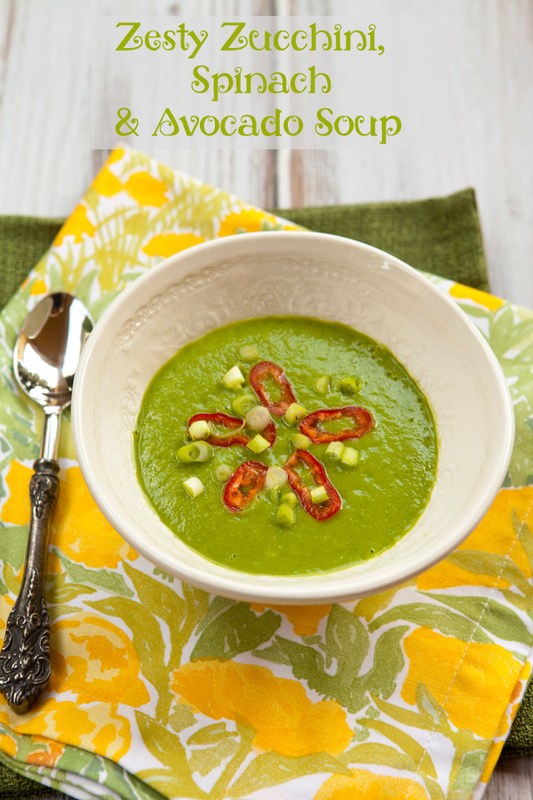 The avocado adds healthy fat to the soup which helps to satiate you and in fact keeps you full for hours. 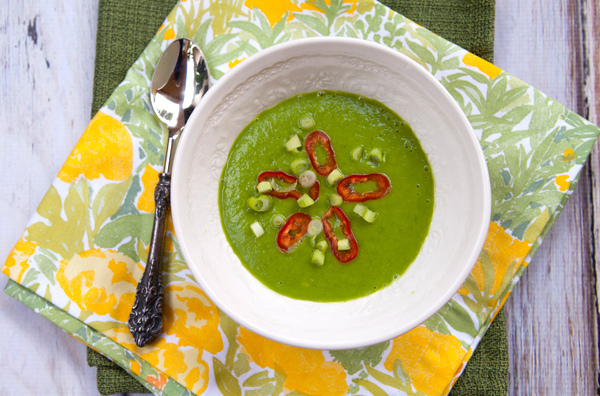 To garnish this soup, you can use sweet pepper rings and green onions as I have, or a dollop of fat free Greek yogurt. Place all the ingredients into a high speed blender and blend until completely smooth, adding additional water if needed.